* Light weight and portable. * Quick heat up time. The G-Pen Elite vaporizer kit comes in a thick, cardboard tube with foam inserts. Inside the container, the kit includes: an instruction manual, a G card for on the go dry herb grinding, a G-Pen tool, a USB charging cable, a cleaning brush and the G-Pen Elite vaporizer. The G-Pen Elite vaporizer is for use with dry herbs and contains a 2200mAh rechargeable battery. Plug the included USB charging cable into the bottom of the Elite and charge for about three hours. The Elite is roughly 4-3/8" in height by 1-1/4" in width. The comfortably shaped mouthpiece is made of soft rubber. The screen and outer rubber casing can be disassembled for cleaning. 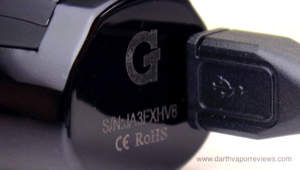 The G-Pen Elite truly is an elite vaporizer. The heat up time is roughly 30 seconds and it has an auto-shutoff after 5 minutes of use. It's compact, light weight and has a sleek, ergonomical look and feel. the mouthpiece does get a little warm after one round of use. The chamber is very deep and although you can get away with filling it up half way, the performance is not as good as a full pack. The draw is nice and smooth. I got better results by waiting a few seconds after the heating had completed before taking a draw. Overall, the G-Pen Elite is my favorite of the vaporizers that I have tried so far, It's easy to use, comes with a one year warranty and each G-Pen has it's own serial number. It costs around $150 which may seem a little expensive for some, but so far, I would say it's very worth the price. 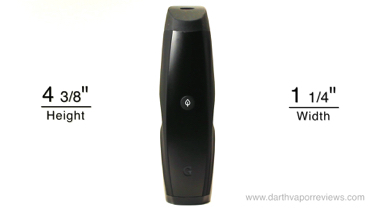 If you would like pick up the G-Pen Elite vaporizer kit for yourself, just click on the logo or link below. Have an excellent day and may the vape be with you! To use the G-Pen Elite, click off the mouthpiece and fill with your favorite blends. Use the packing tool for loading and the brush tool for cleaning the chamber. The ceramic chamber is roughly 3/4" in depth and can hold up to .75 grams of ground herbs. Replace the cap. Five clicks of the power button turns it on or off. 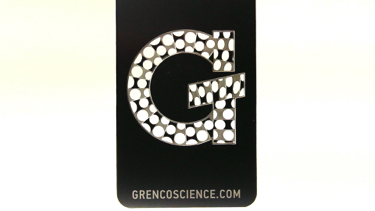 The G logo will light up when turned on. 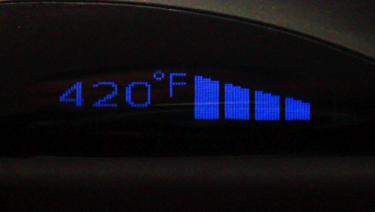 The led screen on the side displays the battery indicator and the temperature settings. Press the up and down buttons to change the temperature. Press and hold the power button and the up button for Celsius and the power and down buttons for Fahrenheit. 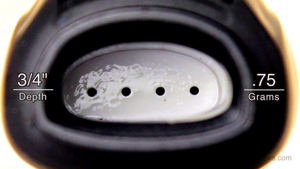 The Elite can heat your blends between 200℉ - 428℉. Press and hold the power button for one second to start the heating process. When your desired temperature is reached, you're ready to vape. * Mouthpiece gets warm after one round. * Needs full pack for best results.